If you follow me on Instagram, you may have noticed from my barrage of sunny, beach-time photos that I spent the weekend at a friend’s wedding. The setting was idyllic; sunshine and sand, a driftwood alter and rustic décor, a warm breeze carrying the salty air, and a beautiful bride to boot. It was a real international affair; visitors from all over the globe settling into this sleepy little beach town. And with some many of the guests having recently returned from their lives abroad, it was a perfect occasion for an overload of Kiwiana. Here are some of the things we did that sum up what it’s like to be a Kiwi. I think it’s safe to say that New Zealanders class hokey pokey as its own food group. These tiny, amber coloured droplets of golden syrup are worth their weight in (actual) gold in my eyes. Not only are they excellent in keeping my constant sugar cravings at bay, but they offer a satisfying crunch to accompany the smooth velvetiness of almost-melting vanilla ice cream. 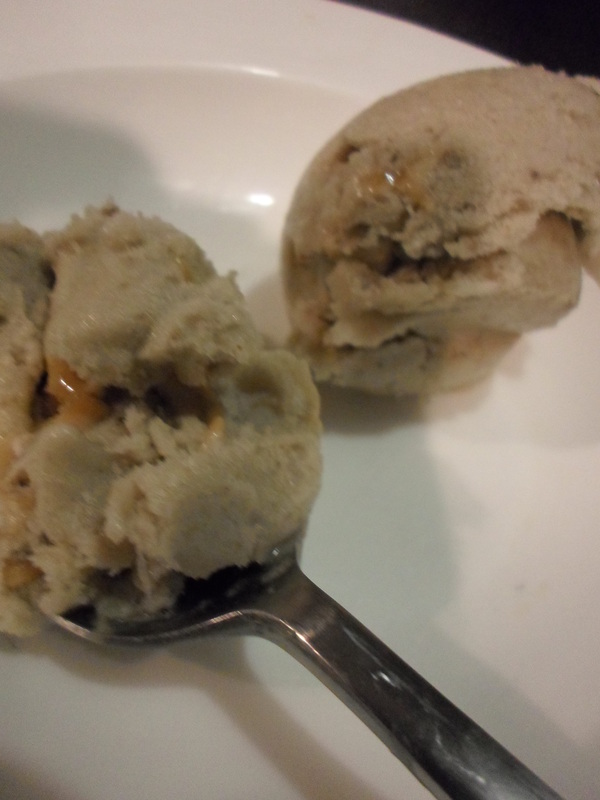 As kids, we would pick the little sugary globes out of our ice cream as we went and save them till last, the winner was the person whose ice cream had the most hokey pokey balls. The prize was never more than bragging rights, but that’s the best part of winning anyway. I can understand how the idea of a mince pie sitting in a warming oven could sound all kinds of horrible. And I partially agree. It’s not something that I have often; less than once in a blue moon, but when I do indulge, it’s one of the most nostalgic experiences that exist – it just tastes like home. Gooey cheese on top of a mountain of steak chunks, drowned in an ocean of thick, rich gravy, all encased in a petite parcel of warm pastry. It is by no means gourmet, but it is definitely an ideal meal for enjoying as you walk along the boardwalk, cradled between two icy cold hands to help warm up after a dip in the not-quite-warm-enough ocean. Speaking of activities that are well complemented by swims in the “refreshing” surf; beach cricket. I wasn’t much of a sporty child; I wasn’t blessed with much in the form of hand-eye coordination, so I’m not well versed in the rules of actual cricket but that’s never stopped me from enjoying a round of beach cricket where the rules are far simpler. Someone bowls the ball (underarm of course), you thwack it as hard as you can and run to a stick poked in the ground and back as many times as you can. If someone catches the ball, you’re out, if not, the cycle continues until they do, or until someone gets mad and hurls the bat at someone else or into the ocean. But that only happens if you’re playing with my family. Don’t even get me started on fish and chips, that’s a story for a whole other post! I recently embarked on the beginning of my cheese making journey;, I started off easy by making ricotta and feta – arguably the most straightforward of cheeses to make. They were delicious and I have since made them several times more but I thought it was high time to try something new, something a bit more difficult. SO I decided to make camembert. Making camembert was probably biting off a bit more than I could chew, as an amateur cheesemaker I can really only guess how the process is going, I don’t have a skill level which allows me to look at a growing wheel and know what it needs – more humidity, a colder temperature, if it needs to be turned or flipped. But nevertheless I am giving it a go. Camembert is a cheese native to Normandy, the process for making it is a tad longer than anything I have tried before… by about two months, so this is not an experiment for the fainthearted or impatient, it is about looking toward the light at the end of the tunnel and picturing the end product, the rich creamy end product. The method of creating this cheese is similar, but slightly different to the recipe for ricotta; it is slightly more decadent. 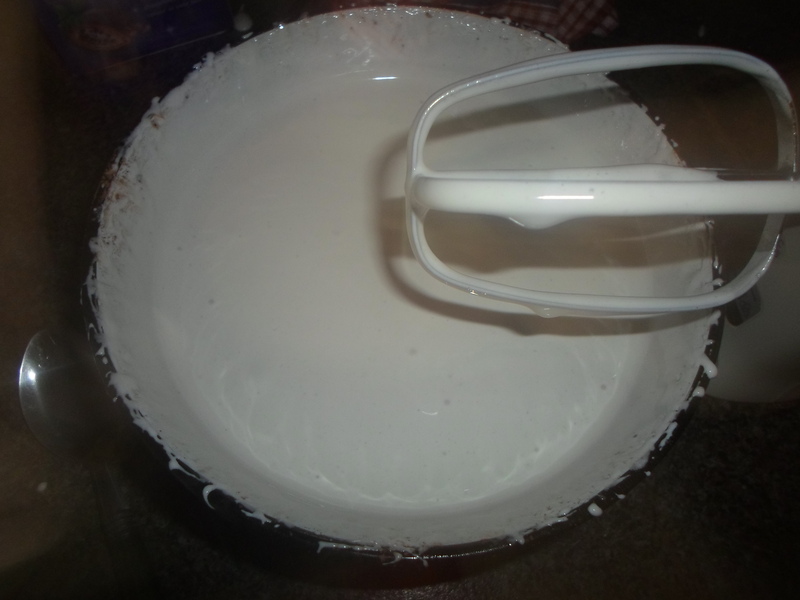 To make two medium size wheels I used full cream milk, cream and homemade buttermilk. I use a Middle Eastern recipe, so instead of combining milk and lemon juice, I use equal parts of milk and yoghurt mixed together and left overnight. I start by heating 3litres of milk to blood temperature with a pinch of turmeric. Instead of buying the actual cheese bacteria, which can be pricey and a reason why some people are reluctant to make their own cheese, I blended 1tablespoon of store-bought camembert with ½ a cup of warm water and added it to the milk. It is then taken off the heat and 250ml of cream and 500ml of buttermilk is added with a pinch of salt and left to rest for 30 minutes before the acid is added. 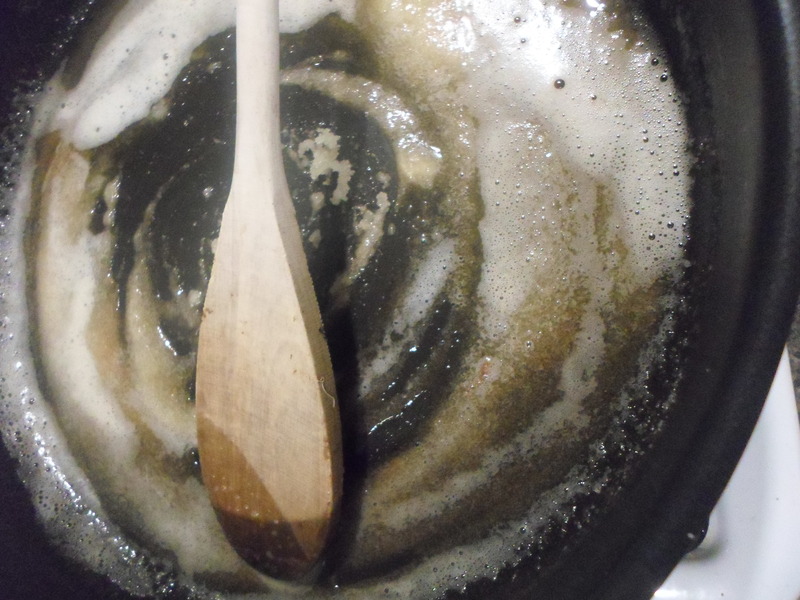 For this quantity of liquid I used 30ml of rennet and 15ml of lemon juice; 45ml of acid all up. 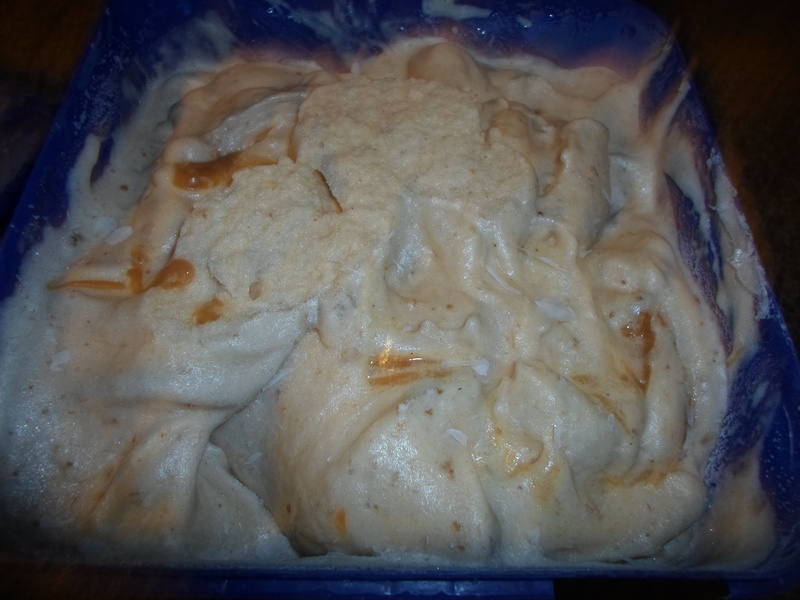 I left it to sit for another 90 minutes before transferring it into moulds. Like most live-culture cheeses, there are four stages to making camembert; the draining, the drying, the mould development and the ripening. The first stage; draining, takes place overnight – the moulds are left to drain any of the whey which was not removed when it as transferred to the moulds. The moulds need to be flipped after 6 hours to make sure the draining is done evenly. Yes, that does mean I got up at 2am to tend to my little cheese babies. The next day the drying process begins, this step is just to draw that last bit of moisture out before the mould cultivation begins. Salt is rubbed on the surfaces and left for a day and a half or until it stops excreting liquid and should be flipped every few hours. 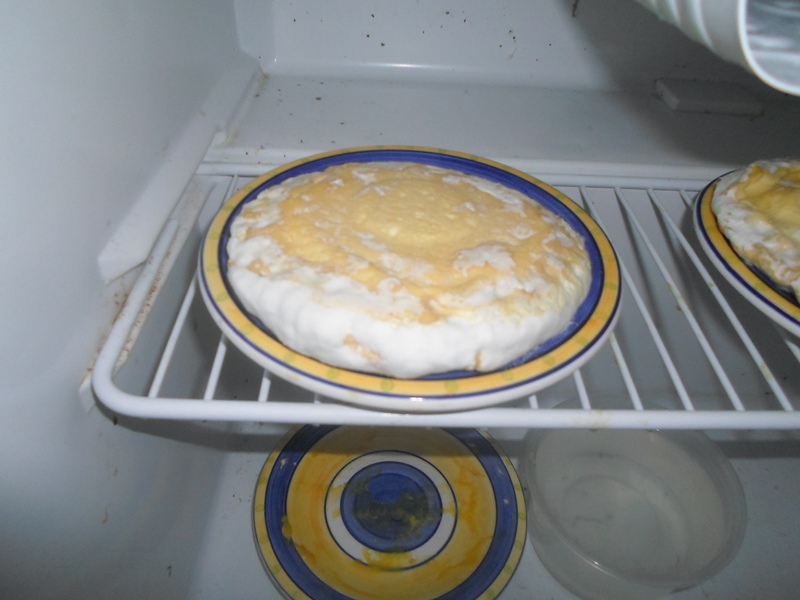 Next, the cheese is placed in a cool, humid environment where it can begin growing mould. 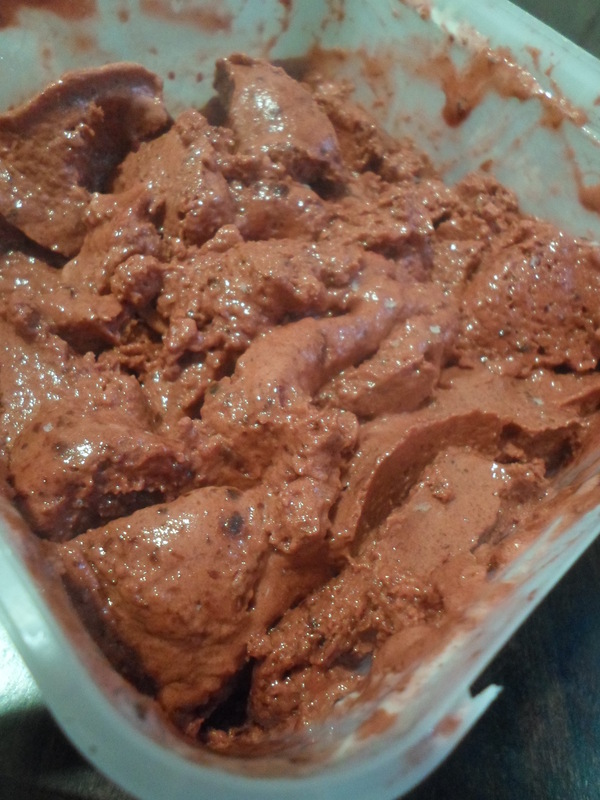 This process is a bit longer; it takes about 14 days for the mould to be sufficient. This is the stage I am up to at the moment, I think it is going well but I am not entirely sure to be completely honest. The general signs are good, the mould is growing white which it is meant to (if the mould is black then the cheese is probably rotting, in a bad way) and it smells like cheese should. The final step is the maturation phase, this is about 6 weeks. So now it is just sitting and waiting, hoping that everything is going to plan and hopefully, soon, I will have some edible cheese. I will keep out updated on the outcome! I mean, if it smells like cheese, surely it will taste like cheese, right? Now, I must firstly admit that this post doesn’t really fit into my general theme of posts, but I think it is pretty cool. I must also admit that I spend far too much of my time looking at food on the internet, and while I am by no means one of those self-confessed health food fanatics (far from it! ), I did think this was mighty cool! 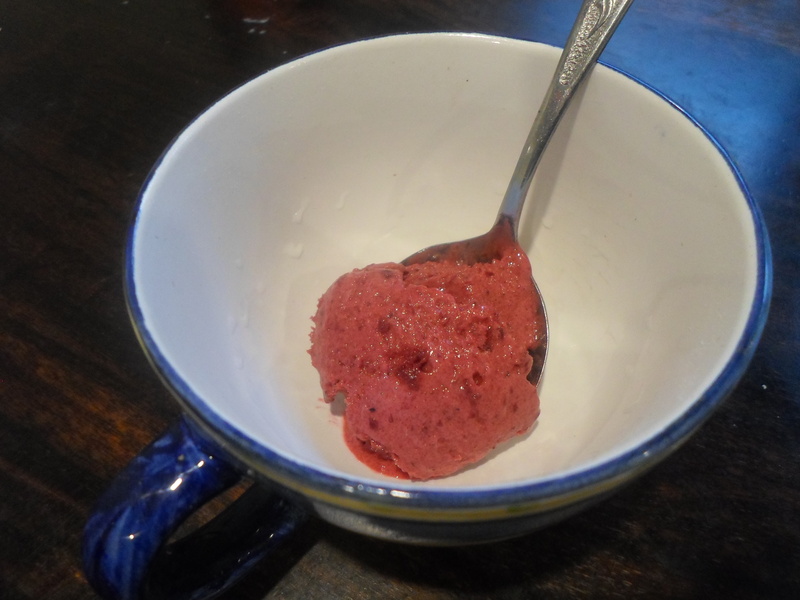 I know this looks like your ordinary sorbet-type dessert, I can assure you that it is a lot easier to make than any other ice cream recipe I have ever seen. Yip, this is a one-ingredient wonder. Nothing but bananas. 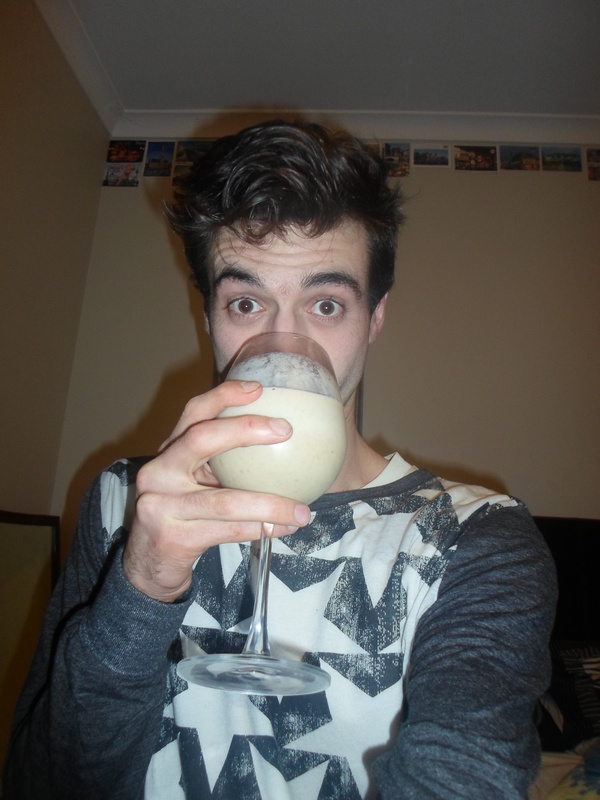 Just bananas put in a blender and blended up. NO added sugar, milk, cream or anything. While this is incredibly easy, I did encounter a couple of logistical issues so I decided I would create a little bit of a ‘how-to’ guide to go with the recipe; some tips that I wish I had had before I started. 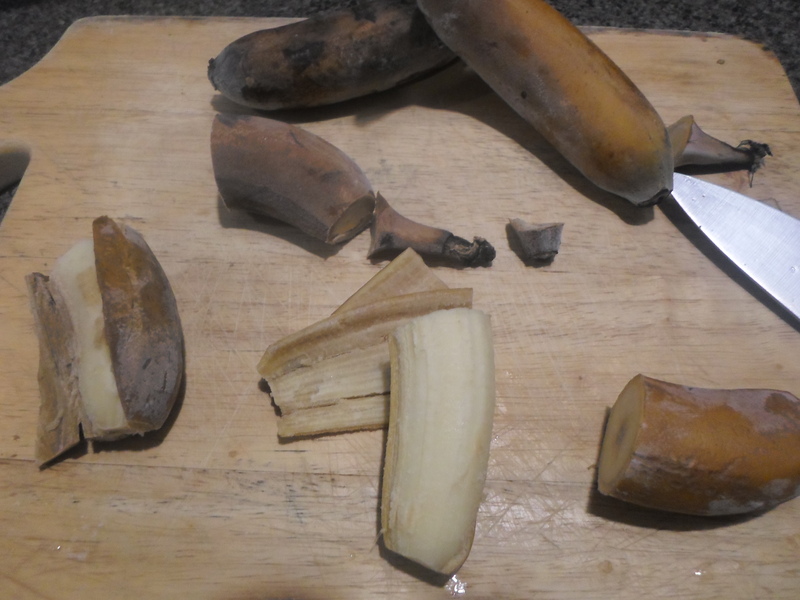 Firstly, take as many bananas as you like and chop them into thin slices, put them in a container or roasting bag and pop them in the freezer for a few hours or overnight. The ripeness of the bananas is completely up to you, I collected mine over a series of weeks so they were added to the freezer at varying degrees of ripeness. 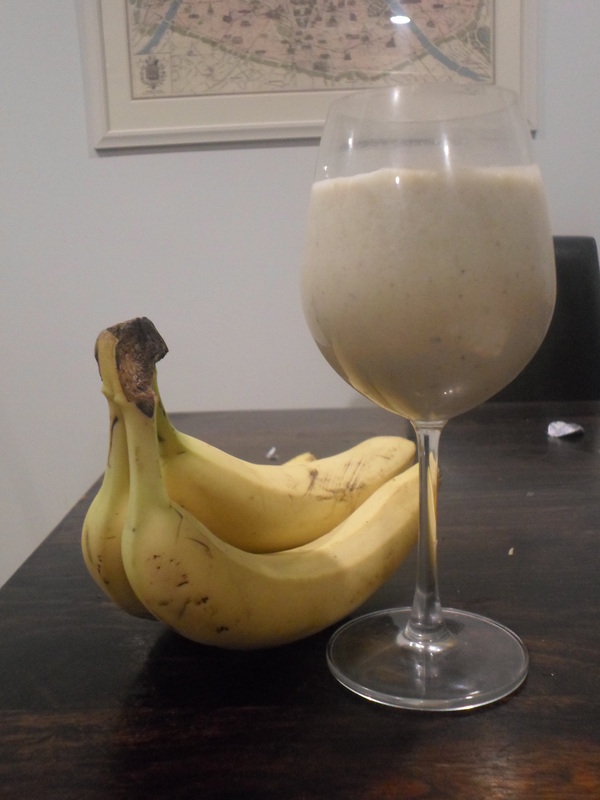 I think the riper the better in order to get that real banana-y flavour. TIP ONE: When choosing how many bananas to use, keep in mind the size of your blender or food processor. I didn’t really do this and had a few issues fitting them all in. 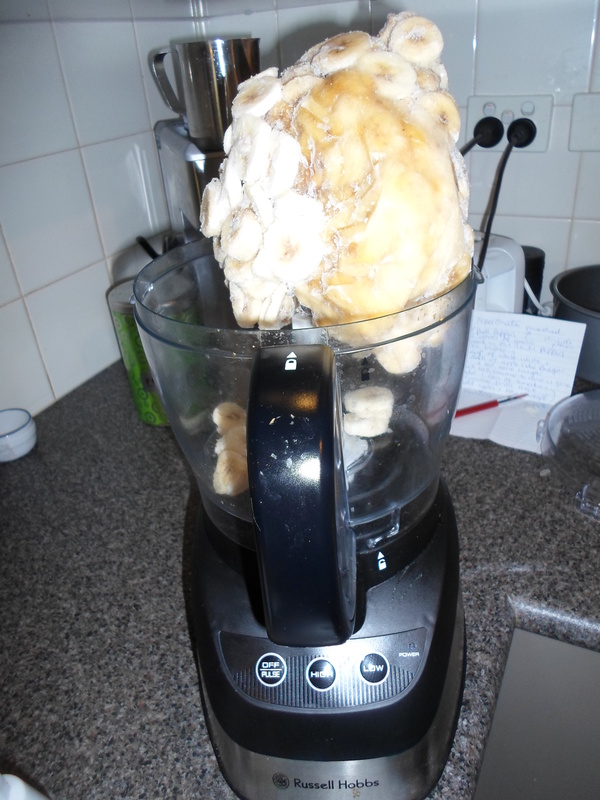 TIP TWO: Take your bananas out of the freezer about 15 minutes before you start blending them. 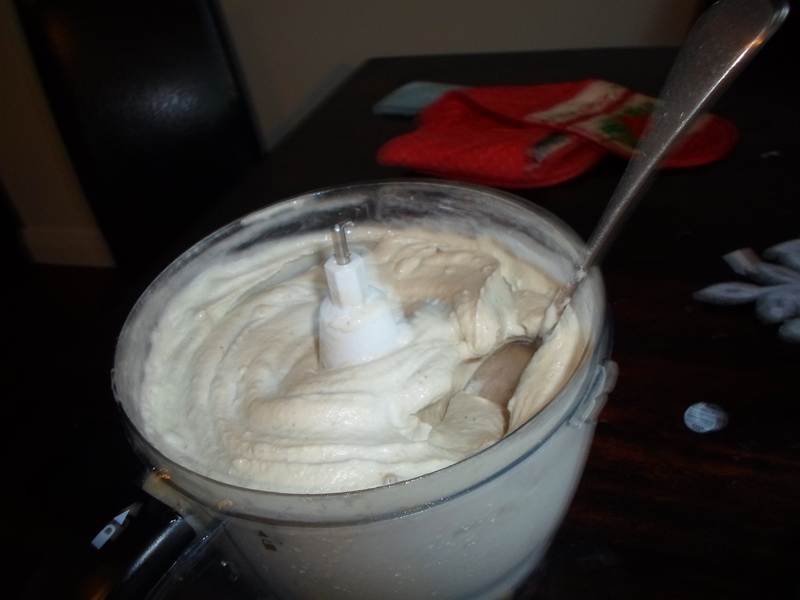 Even though you want them to still be quite frozen and hard when you start blending them, you also want them to be a bit easy to break into reasonably small chunks before putting them in. That’s TIP NUMBER THREE. 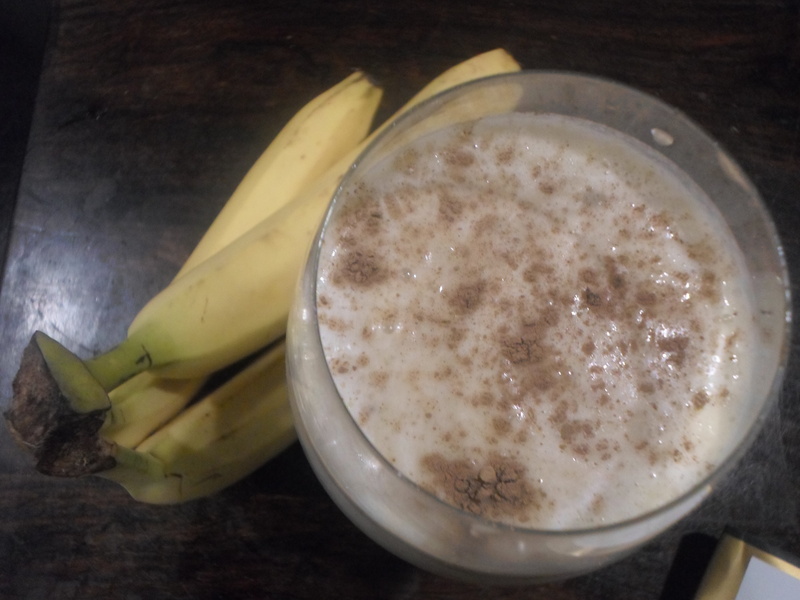 Once your bananas are in the blender, turn the blender on. 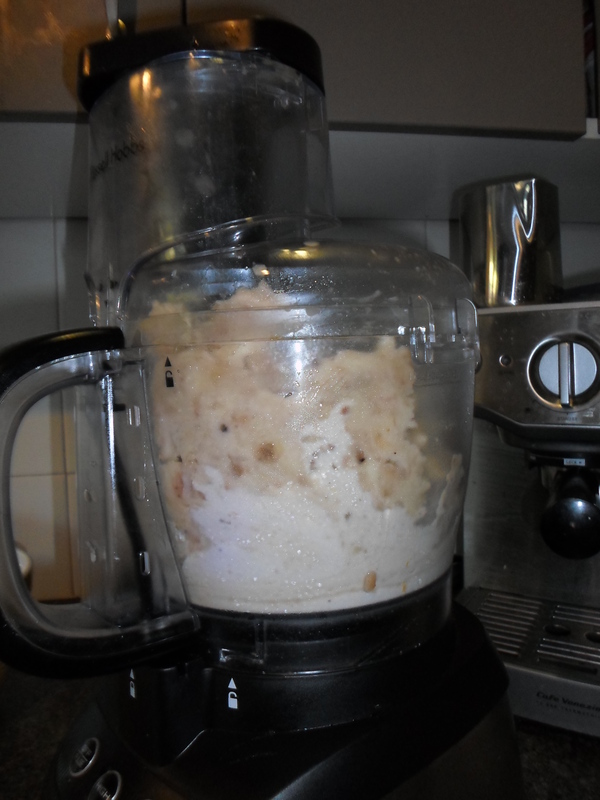 If you have a large amount of bananas like I did, you might want to turn it off and mix them around to get an even blend, it would have been helpful to have someone helping me for this part as the food processor wasn’t the sturdiest of beasts (TIP FOUR). 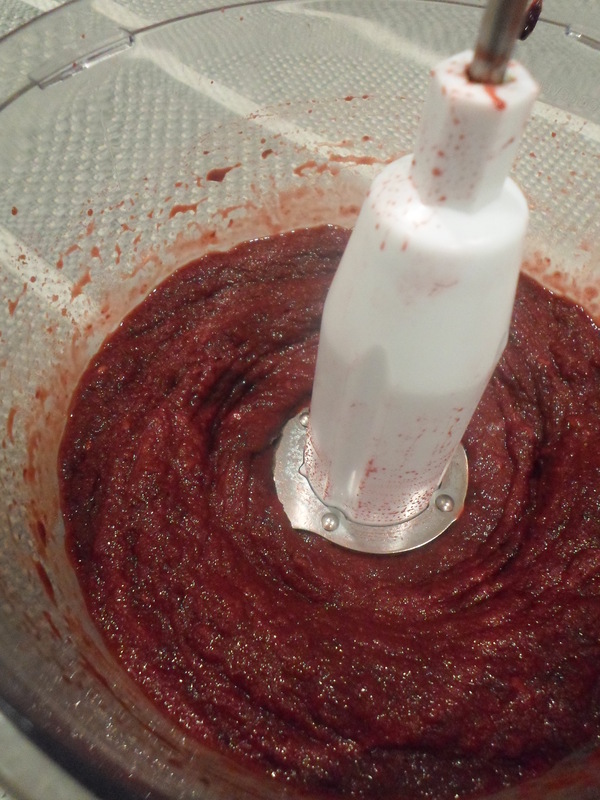 Next step: Blend, and blend, and blend… and blend. The consistency will go from chunky to grainy to runny to creamy. 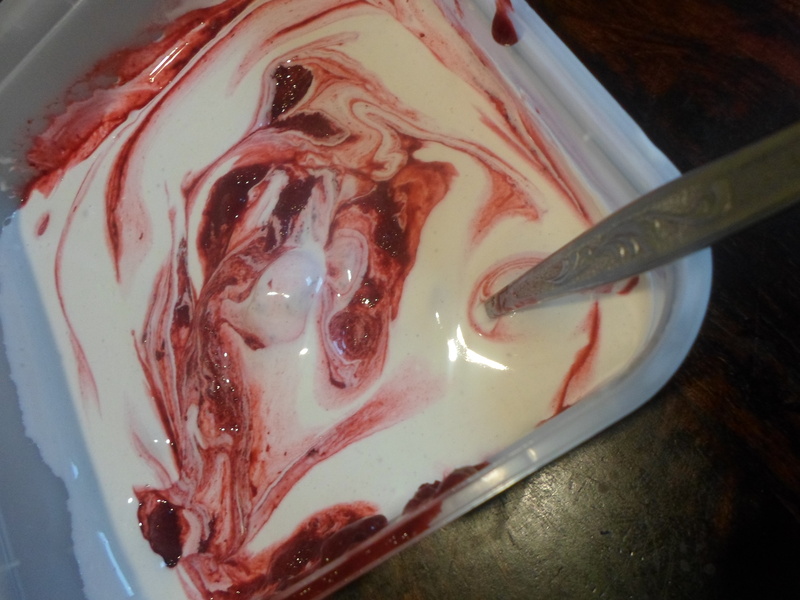 Transfer into an ice cream container (that other person will also come in handy here) and put back in the freezer for a few hours; until it is firm like ice cream should be. I also mixed in a bit of my salted caramel sauce, which kinda defeats the whole ‘healthy’ aspect of it, but like I said; I am not health guru. Final step: Clean your kitchen. Clean the bench, clean the blender, clean the floor, and probably even clean the roof. Because I promise you, if you are anything like me, it will be in dire need of a big dose of spring cleaning! A little bit of an experiment; basically an Arab apple turnover… but the filo pastry was too dry!